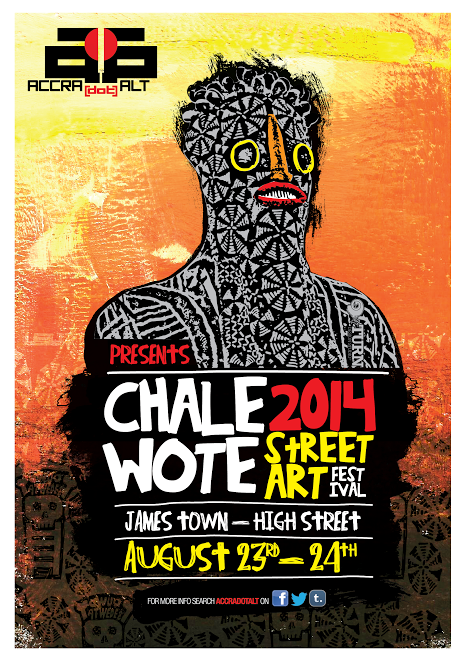 This August artists from across the continent and the world are meeting in Accra for this year’s Chale Wote Street Art Festival. Over 200 of the city’s artist will be creating collaborative projects between the 19th to the 24th. Come to the center of the world. This entry was posted in Afro-Futurism, Celebrity Visits, Chale Wote Street Art Festival, Cultural Workshops, Dance, Diasporic Arts, Education, Fashion, Festival, Film Series, Food, FOTO VIM, Ghana, Markets, Music, Nature, Photography, South Africa, Spoken Word, Street Style, Style, Travel, Uncategorized, Village Beat, Visual Art, West African Spirituality and tagged Accra, Africa, art, August, Chale Wote Street Art Festival, fashion, Festival, food, Ghana, High Street, James Town, photograpy, street photography by Accradotalt. Bookmark the permalink.